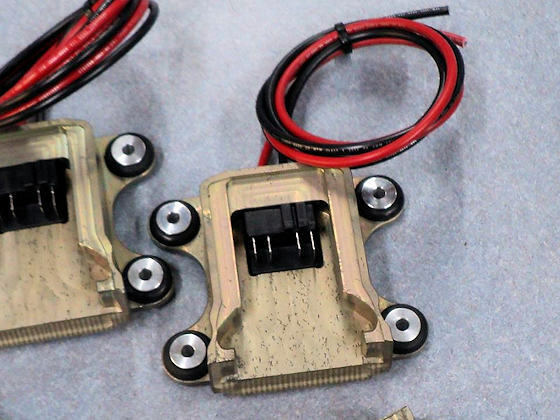 25% lighter than our Billet Aluminum Battery Mount, our Magnesium Rechargeable Battery Mount is the ultimate in a light weight power supply for your race car. This battery bracket is also designed to hold 18 volt Milwaukee Lithium-Ion power tool batterys (M18 series) that you can get at a hardware store. The bracket that holds the battery and makes electrical contact is mounted on rubber bushings, and will hold the battery short of taking a jackhammer to it. Battery and Charger not included, those items are best purchased from a store that stocks Milwalkee Power Tools. We also have a Chrome Moly Mounting Bracket Available. Neil & Parks Rechargeable Drill Battery Holders are designed to hold any of the Milwaukee M18 series batteries, such as the 2.7ah in the photo above, or larger like the 9ah model if you need more power. These batteries typically charge in about 15 minutes, plenty of time to be ready for the next round, or just get a spare battery and pop one in and you're ready to race! 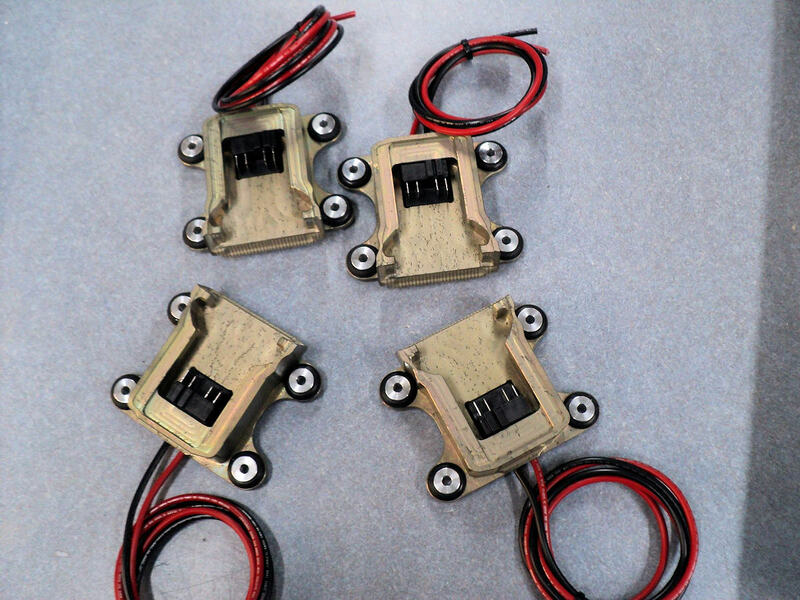 Our own personal car uses one of these to power the trans brake, Racepak computer with 02 sensors, and an oil circulating pump, all without any trouble. We simply exchange the batteries between rounds.